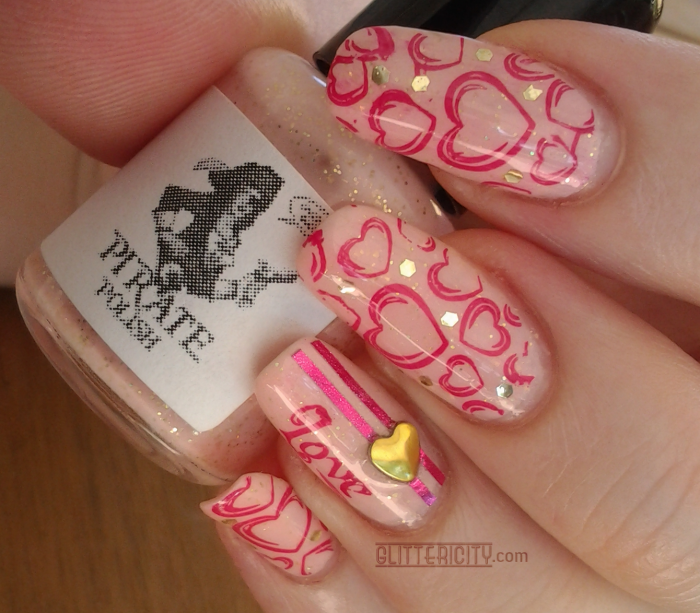 Today I have a sugary-sweet pink and gold look for you, inspired by one of Pirate Polish's shades from their Love in a Cold Climate collection released about this time last year! 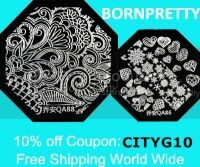 The hearts are stamped with Bundle Monster plate BM-317, and the Love image from BM-009. I used Sally Hansen Insta-Dri Flashy Fuchsia for this. It's been a while since I stamped, and you can tell--especially on my index finger, which I actually re-did twice and then thought OMG I AM NOT DOING THIS AGAIN, IT'S JUST GOING TO HAVE TO BE WONKY. Luckily I did not have *quite* as much trouble with the other fingers. 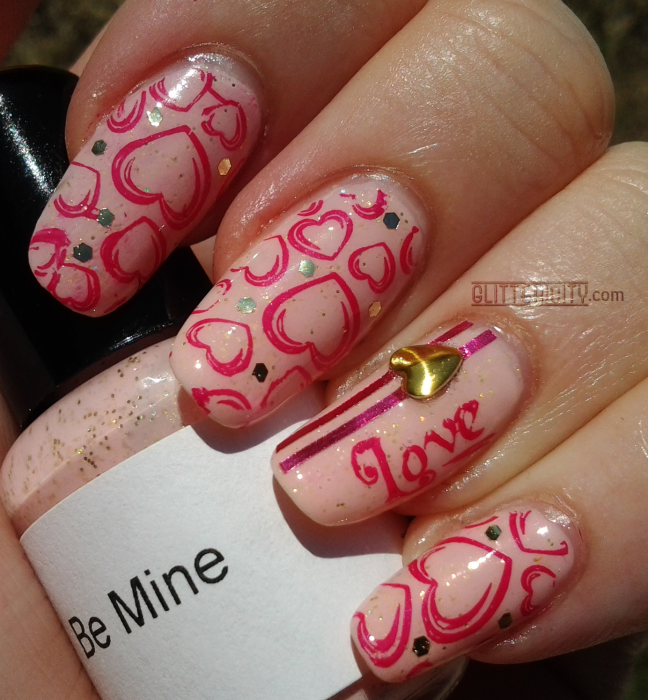 To jazz it up I added some pink striping tape and gold heart studs from Born Pretty Store to the accent nail, and the gold glitters on the other nails are from a bottle of Milani Jewel FX Gold. I used an orange stick to pick them out and place a few around the hearts to tie them in with the gold studs. Nice shot of the bottle, with all the glitter showing off in the sun. In the shade they look softer and squishier! This is also what they look like indoors, mostly, so I didn't bother with another photo. I hope you liked these! Are you sick of the Valentiney designs yet? I'll be honest, I sooooort of am... but we have one more to go before moving on. And, well, I'm not always the most overly girly person, so all the pink and sweetness has been a fun change.